Yesterday was shoe love, today it's about the Necklace LOVE!!! Each are probably my most favorite items to look at & buy...well let's be honest I love to look at a lot, but lets just say these are both FAV's!!!! Cuz that's true! 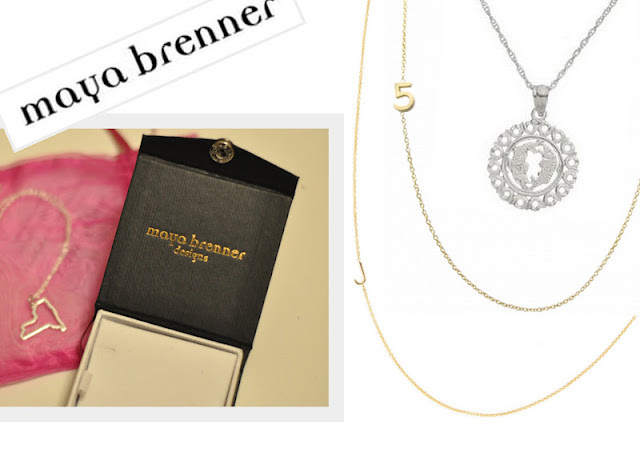 I have been eyeing the Maya Brenner letter necklace's for soooo long! The dainty and understated glamor factor are undeniable!!! But what's even better - she has so many different styles! Numbers, states and Zodiac's!!! A few of my fav's below! Of course, I'd choose a 'T' for Taylor, '1' for my birthday, California for DUH all the obvious reasons!!! And the Zodiac - Taurus.... yes you guessed it! I'm am most definitely a Taurus, in every sense!!! The best part - WE CAN ALL enter to WIN!!! Just head over to Maya Brenner's Facebook Page and enter to win! She is giving a Zodiac necklace away for every sign all year long!!!! Just head to the 'What's your Sign' app & enter! I already did!!!! Now to just get my hands on one (a Letter!) or ALL!!! Do you have any????? What are your favorite necklaces? Do you go understated or big and bold? I've had my eye on the initial necklace in gold - will def be treating myself to this soon! Thanks for the heads up on the FB contest - off to enter now! I have the A and I absolutely love it. Haven't taken it off since I got it. I have a lot of C necklaces but I think I REALLY need one of hers. @Alex, I'm so JEALOUS!!! I am dying for a T!!! @Christin - I think WE NEED THEM!!!!! Big and Bold! These are so pretty! I love the idea of all the different necklaces... They would be fun to wear singly or combined with other necklaces! I've been drooling over her initial necklaces for forever! And I'm a Taurus as well, but I think the number + letter combo would be great! ok, THANK YOU for sharing. love these necklaces!! I love the letters! Too pretty. Love the letter necklaces! I think I'd wear it every day. I'm seriously dying for a gold 'J'-- I love these necklaces!!!! I love her necklaces, my favorite is the initial one, the perfect everyday necklace, simple yet chic! I so want an L necklace and a california one!